The Pace Groups will help you not only achieve your goals, but have FUN, whether the goal is a personal record, Boston qualifier, or simply to cross the finish line! Our Pacers are extremely experienced runners, chosen based upon their previous running and/or pacing performances and know what it takes to hold a steady pace and give you a great marathon experience – dynamic and personable, and dedicated to making sure you have a great time on the course! We will have Pace Groups for the following marathon times: 3:05, 3:10, 3:15, 3:20, 3:25, 3:30, 3:35, 3:40, 3:45, 3:55, 4:00, 4:10, 4:25, 4:40, and 5:00. To meet up with the Pace Groups on marathon day, look for them at the start, holding up large signs with the pace group finishing times printed on them, and wearing Pace Group shirts. Try to meet up with your group twenty minutes before the start (7:00 a.m.). Five or ten minutes before the start, your Pacers will give their “final instructions”. This will include any adjustments being made to the pace due to course conditions, as well as your Pacers’ method of meeting back up and keeping the group together at the fluid stations. This is another great opportunity for you to ask any questions you may have! Fluid station philosophy, regarding whether the Pace Group will walk or run through it, is up to the Pacer(s). Each Pace Group will let their team know their strategy for getting back together after a water stop. Traditionally, the pace groups from 4:00 and slower will be walking during fluid stations. Be sure to check with your Pacer at the expo booth or prior to the race if this is extremely important to you. We want you to run your own race. If you feel great on race day, and you want to go ahead to catch the next team, we’ll cheer you on. If it’s just not your day, slow down and wait for the next Pace Group behind to catch you. And if you want to just fall in and match strides with your Pacer, we sure will appreciate the company! If you have any questions, please feel free to post them on the ORF Facebook page. This will allow others to share the questions and answers. Or you may e-mail the Pace Group Organizer at [email protected]. Mirek is a recovering triathlete. He now mainly focuses on running, from half marathons to 100 milers. This will be his second Oakland Marathon and is excited to help others achieve their marathon goal. Calvin is a 5x Oakland Marathon pacer and known to carry a plethora of anti-cramp pills and ointments to help his runners achieve a strong even-effort finish. Calvin averages 35-45 weekly miles over 4-5 hours, with 3 key workouts – intervals, tempo and long run. He recently ran his first 50K race and is officially hooked on the beauty of trail running. John is a RRCA certified running coach, runner and veteran pacer. He has run Boston marathon the last several years. He has paced SF marathon(1st & 2nd halfs); Alameda half; as well as being a pacer over the last three years with the LMJS Oakland Marathon Training Program. John is looking forward to support Calvin pace you to reach your goals and on time at the finish line. Arnel took on running about 15 years ago after his dad traded smoking for running. Since then he trains almost daily and has participated in events from 5Ks to 50 mile trail runs. 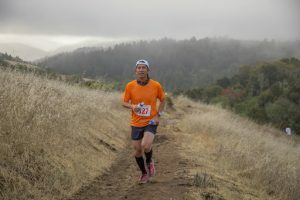 He is a 5x pacer of the Santa Rosa Marathon, 2x pacer of The San Francisco ½ Marathon first half, and numerous local ½ marathons for Tri Valley Running Club. This will be his 10th Oakland Running Festival and first time pacing the marathon. Let’s keep it simple and keep even splits, then let ‘er rip to finish strong! Victor ran his first marathon in 2017 but has since completed 11 marathons across 4 countries, as well as 3 Bay Area 50K’s and other local races as a member of the Lake Merritt Joggers & Striders Racing Team. Victor served as the 1:45 half-marathon pacer last year, and is excited to return to pace the full distance this year! Tzach has been running since his high school days. He has paced SF marathon and the Morgan Hill marathon for the last 7 years. Tzach has participated in different long distance races and in the last 4 years has been focused on long distance triathlons. Tzach completed 3 ironman races in Coeur d’Alene and Arizona. Tzach is looking forward to running with you and helping you achieve your goals! Bradly is a veteran pacer for the Oakland Marathon. He will get you up the hills and through the flats and to your goal time. Yiquan is returning to pace the 3:35 group through a smooth run through Oakland. He has paced this group since the first Oakland marathon and looks forward to sharing his experience with you. Ofer has been a long distance runner for over 20yrs ,completing 15 road and trail marathons , numerous 50K’s and 2 50M runs. Ofer has paced 6 marathons including 3 Oakland Marathons. Other than running after his kids, Ofer enjoys trail running with friends, working on carpentry projects and homemade gadgets. Looking forward to help you achieve your race goals! Pei has paced/raced 30+ full & half marathon since he started running ~4 years ago, with a full marathon PR of 2:59:56(set in 2015 CIM). He enjoys running & enjoys pacing even more(yes, he paced more events than he raced :-). He ran his 1st ORF in 2014, and was going to pace for the 2015 ORF event, but had to withdraw due to injury. He’s very happy to be back for the 2016 event, and look forward to seeing many fellow runners and helping them reach their marathon goals. Noel has done about 20 half marathons then in 2015 he ran his 1st SF Marathon and since then completed 3 more SF Marathons, 1 Avenue of the Giants Marathon and the relay Oakland Marathon. This year for his 31st Birthday he ran his 1st Ultra (Jed Smith 50k). He recently started pacing and enjoys keeping other runners motivated. Gang (Tom) Qin started running marathons in 2011 and has run more than 100 races (40 of them as a pacer). His PR is 2:56:57 made in 2017 and also He has previously qualified for both the Boston and New York City Marathons. Tom has been running marathons for over 10 years, and ran the Boston marathon in 2017. He has paced several full and half marathons, including Oakland and Santa Rosa. 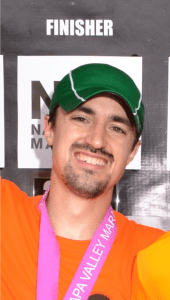 Whether you are running your first marathon, training for a PR, hoping to qualify for Boston, or running for fun, Tom will help you to achieve your marathon goal. Simone is an avid ultrarunner in the Bay Area! She has paced several races and can’t wait to help you with your running goal at the Oakland Marathon! When not running, Simone is a professional photographer and biomedical engineer! aspirations is more valuable than any medal. He looks forward to meeting you and helping you achieve your running goals. Allegra started running marathons in 1998 and has run or paced the marathon or half marathon at every Oakland Running Festival since 2011. She is a pacer for the Lake Merritt Joggers and Striders’ marathon training program, and has also paced the Santa Rosa Marathon multiple times. She is looking forward to pacing runners to a strong finish while enjoying a tour of Oakland. Mark has run the Oakland Marathon for the last three years, but this will be his first time pacing. His greatest weakness as a runner is not pacing himself, until he joined LMJS Training Group. He is currently a pacer with LMJS, and has enjoyed helping others achieve their goals. Once a blowout runner, now a steady pacer! Maricar is excited to pace her 2nd Oakland Half. She has been pacing half marathons for more than a year and the best part is being part of someone’s journey as they cross the finish line. She ran her first half marathon almost 5 years ago and has worked up to completing 3 marathons, with a 4th one on the way this spring. Jennifer Stringham is a track coach for Run 365. She has been running in the bay area since 2009. She has paced Oakland marathon, San Francisco marathon, and Berkeley Half. Along with pacing for Run 365. Jennifer also has a great passion for trails and has several ultra races under her belt. When not running Jennifer is a social worker serving the United States Veterans in collaborative courts. Sara is a runner and an RRCA certified running coach who has completed 27 road and trail marathons, and paced many marathons and half marathons in the Bay Area. She has also been a coach and pacer for the Lake Merritt Joggers and Striders Oakland Marathon training program for the past 6 years, and is a blogger at sarakurth.com, writing about all things running and marathoning. David is excited to pace his second Oakland Half Marathon on this flat, fast course. David finished his first half marathon in 2007 and has since run numerous distance races and is a three-time Boston Marathon qualifier. His goal for the 1:35 group is to start out the first mile at a nice and easy 7:15 pace and then repeat for 12+ more miles. For James, running started as an ‘acquired taste’ and has evolved into an addiction. Today, it’s part of his daily morning routine. Weekends are for long runs and over the past 5 years he has paced over 20 marathons. You can count on James for consistent splits. Evan began running cross country and track in high school. He has run 5 road and trail marathons, as well as numerous half marathons, 10ks, and 5ks. He has been a pacer for the Lake Merritt Joggers and Striders Marathon Training Program, as well as the Alameda Half Marathon. Nayeli began running in her late 30s and remembers not being able to run a mile. She is now preparing to run marathon #15, CIM, in the fall to earn another BQ. Nayeli is excited to pace Oakland again. Rick has run the Oakland Marathon 3 times and the Oakland Half Marathon 5 times. He knows these streets well. He has pacing experience with the Lake Merritt Joggers and Striders and the TriValley Running Club. Oakland was Dan’s first marathon in 2014. Since then he has run it every year, including as a pacer in 2017 and 2018. Dan can’t wait to hit the road again at the 2018 Oakland Marathon and help runners have a great time achieving their goals. This native Oaklander can’t wait to pace you to your 2:00 finish and point out some sights along the way. He is returning to pace his 3rd Oakland half. Mary Beth has paced run every Oakland Marathon or 1/2 marathon since its inception. Although she has relocated to Portland, OR, her heart belongs to Oakland. She loves this course and will guide you to a smooth, consistent 13 miles at a 9:54 pace. Kate has been a Pace Group Leader for the LMJS/ORF training group since the very first year of the Oakland Marathon. She has run both the marathon and the half marathon in Oakland, and paced the half last year. Too much fun, so she is back to do it again! Yavanna has been running with LMJS since 2010 and pacing with the Oakland Marathon since its third year. She has been the 2:20 half pacer for the event every year since half pacers were officially added. Perpetually perky, Yavanna is known for her steady pace and positive disposition. She’s glad to be back again pacing her favorite race at her favorite speed and looks forward to meeting you all at the start and along the way. Allison Espejo has been running marathons since the Honolulu Marathon in 2002. She recently ran the 3-day Grand Circle Trailfest which consisted of Bryce Canyon, Zion and the Grand Canyon. She’s paced many full and half marathons, and belongs to the 50 States Marathon Club. She enjoys pacing to help others reach their running goals. Debbie has been running ever since she completed the 2005 New York City Marathon. She enjoys races throughout the bay area, having lived in San Jose most of her life. She has paced runners for the San Francisco Hot Chocolate 15k and is very excited to be a pacer once again for the Oakland Running Festival! Nnenna fell in love with distance running when she moved to the East Bay. With the help of LMJS, she trained for her first half marathon, ORF and her first marathon seven months later. Nnenna has run many half marathons in the Bay Area and has been a half marathon pacer for Santa Rosa, Napa, ORF, SEE JANE RUN, and Alameda Running Festival. She enjoys supporting fellow runners. Nghi started running in 2004 and doing triathlons in 2010. She would consider herself a well-rounded runner, having completed 100+ half/full marathons, numerous ultra races, including 2014 Rio Del Lago 100 Miler and also one Ironman in Texas. Her half marathon PR is 1:43 and she is a three time Boston qualifier (2013, 2014 & 2015). She very much looks forward to helping you reach your goals you and can count on her to help encourage you to do so.